We perform a wide range of procedures because our congenital heart disease team understands that treatment is not "one-fits-all" care. Your best option will depend on the severity of your congenital heart disease. We will work with you to determine what strategy or strategies will be ideal for your condition and your personal needs. Short procedure time. Patients can sometimes leave the hospital the same day. Little to no blood loss. Quick recovery, with patients frequently able to resume normal activities the next day. Some congenital heart problems can cause heart rhythm disorders. Our team of adult and pediatric electrophysiologists offer the full range of diagnostic and treatment options for arrhythmias, including radiofrequency ablation and implantation of pacemakers and defibrillators. Patients with narrowed arteries or blood vessels can often benefit from balloon angioplasty or stent placement to improve blood flow. Balloon angioplasty involves the use of thin tubes (catheters) that are inserted into a blocked or narrowed artery. The catheter has a tiny balloon on its tip that is inflated to widen the artery. Stents are tiny steel mesh tubes that are sometimes placed in blood vessels to help keep them open. Thin tubes (catheters) can often be used to relieve obstructions caused by thickened heart valves, commonly seen in patients with aortic or pulmonary valve stenosis. A small balloon is attached to the tip of the catheter and is then inflated to open the valve opening. Valve repair and reconstruction using human or artificial valves. Repairs can sometimes be performed using the patient's own tissue. Bypass surgery, including minimally invasive procedures that can be performed through very small incisions without cutting through the sternum. 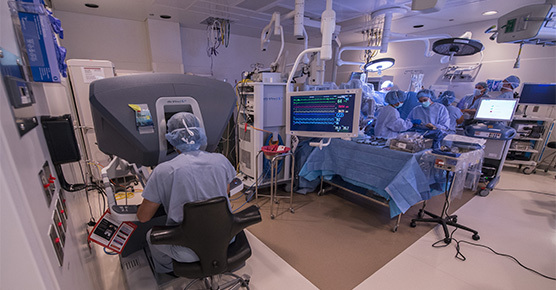 UChicago Medicine is one of a handful of hospitals in the world that offers a wide range of robotic approaches for heart conditions. 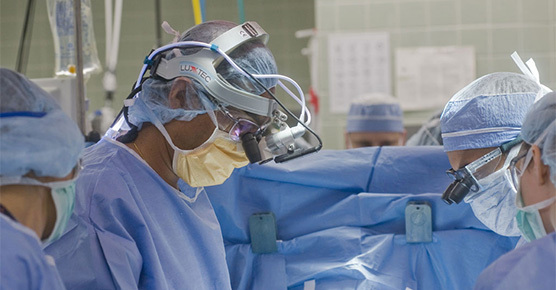 As pioneers in heart valve procedures, UChicago Medicine heart surgeons can often offer surgical solutions that are not available at most hospitals. 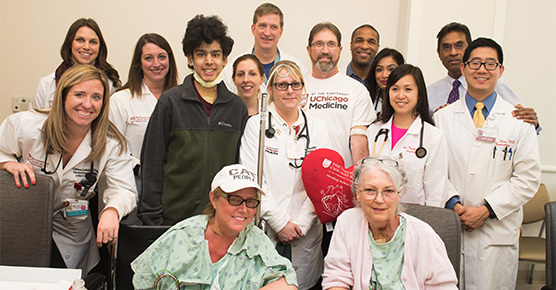 At UChicago Medicine, you can reach out to some of the most experienced cardiologists and cardiac surgeons in the country.